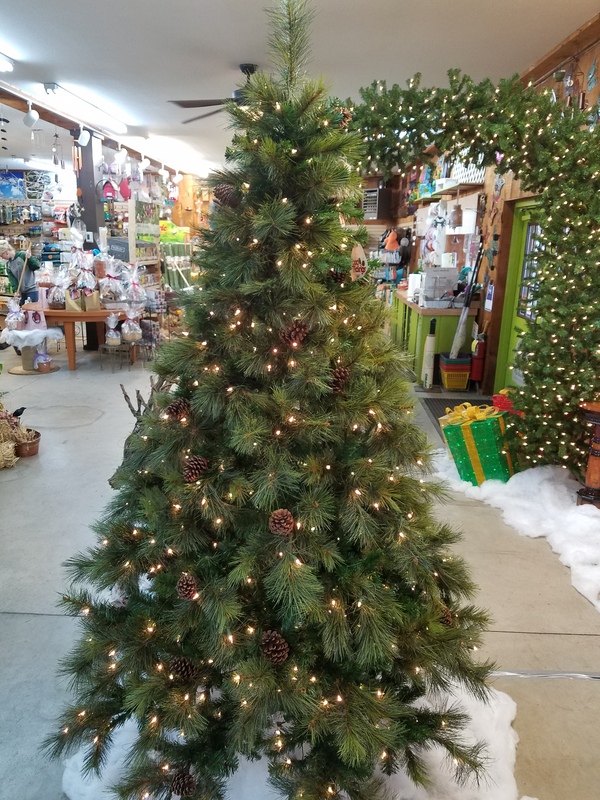 The Calvert medium green, long needle PVC pine looks like it came straight from the forest. 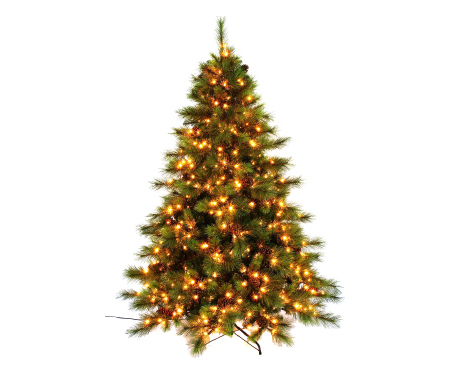 It features 3-piece, hinged construction, with pine cone accents and incandescent mini lights. Comes with green metal stand. A real beauty with or without ornaments. Size/Base 7.5′ H/ 64″ Dia.